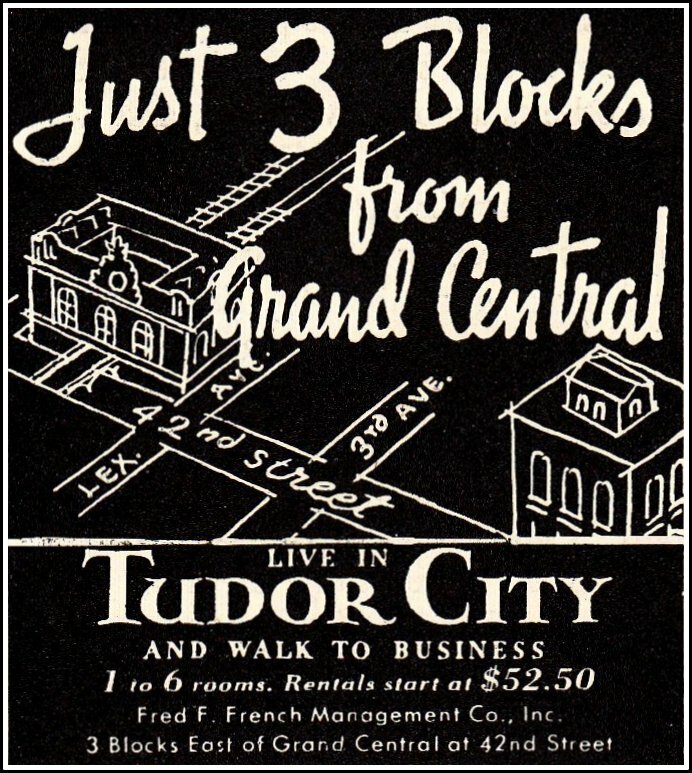 The first preliminary sketch for Tudor City, issued by the Fred F. French Company in 1925. View looking east toward Long Island City. 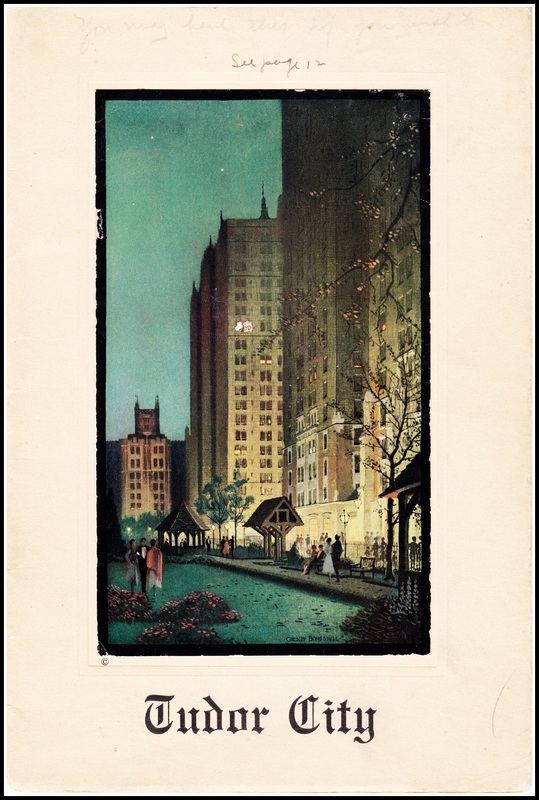 A lone skyscraper straddles 42nd Street, with a series of tunnels beneath it leading to First Avenue. The sketch is extremely preliminary -- a note on the drawing explains "the completed operation may not look at all like this sketch"-- and the completed operation did not look at all like the sketch. 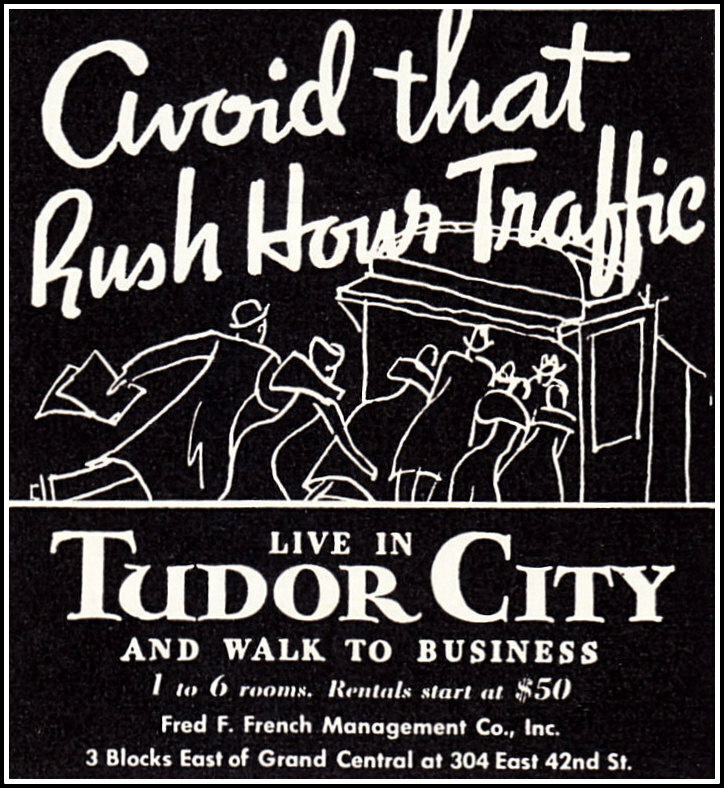 Instead of a wall of skyscrapers along Tudor City Place, there was only one, dramatically poised over 42nd Street. 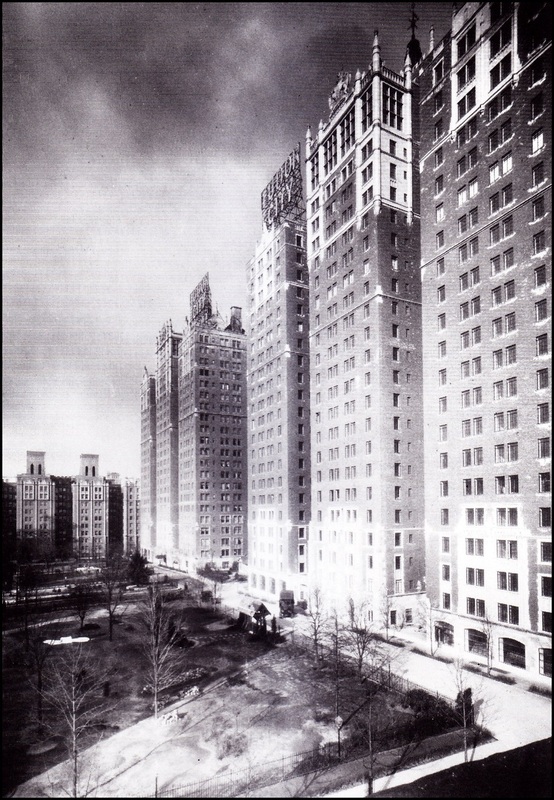 There are no parks, both sides of the streets lined with modest-size dwellings. 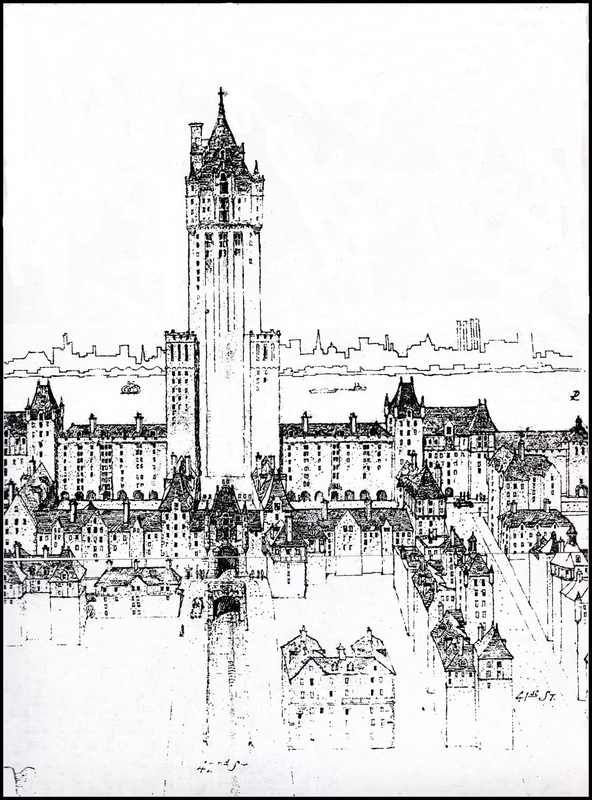 This is the first study of a perspective elevation of the proposed TUDOR CITY, which is to be financed, constructed and managed under the FRENCH PLAN. 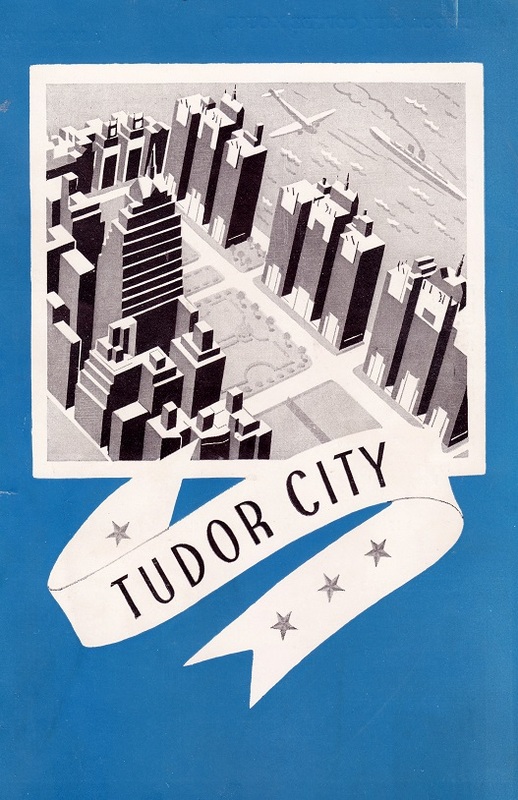 The study has been made to be used in obtaining certain consents desirable in connection with the development of TUDOR CITY. 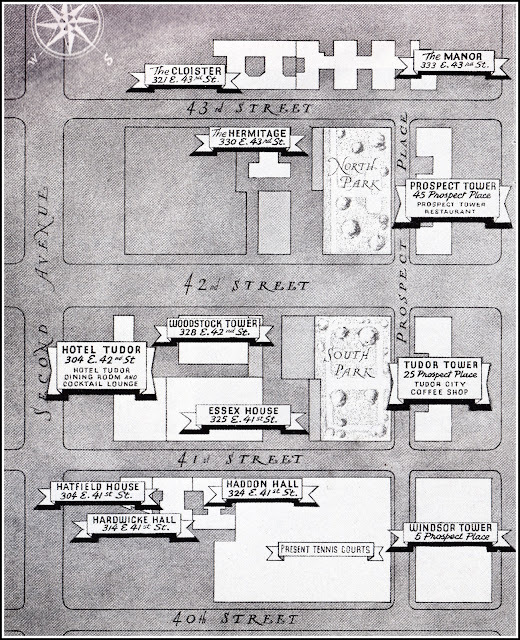 It is possible that the completed operation may not look at all like this sketch, but we thought that our stockholders would be interested in the study as it gives some idea of the scope and magnitude of the operation. 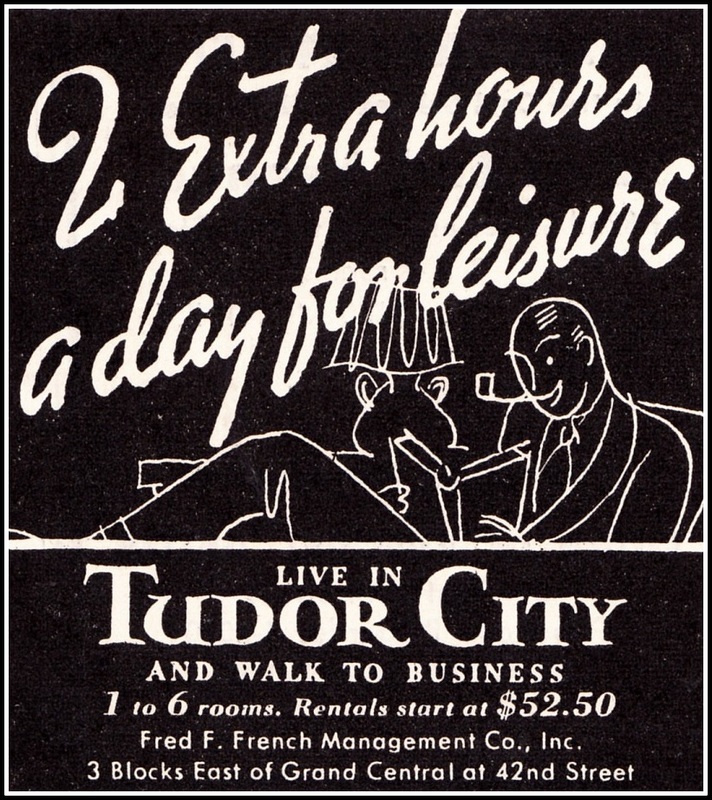 PROSPECT HILL APARTMENTS INC., the preferred stock of which is now being offered to the public will own and operate a portion of TUDOR CITY as a separate owning corporation under the FRENCH PLAN.